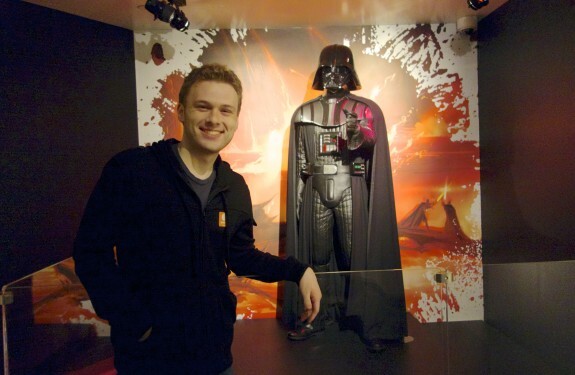 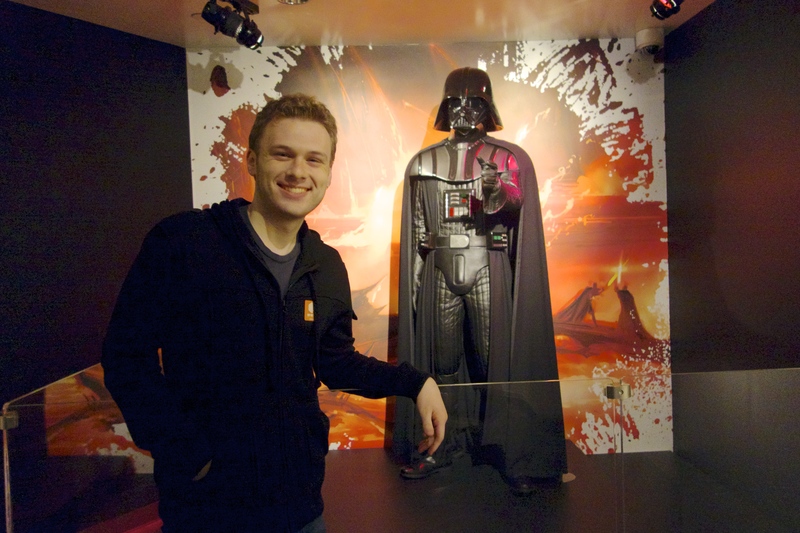 It’s really no secret that I’m a massive Star Wars fan. 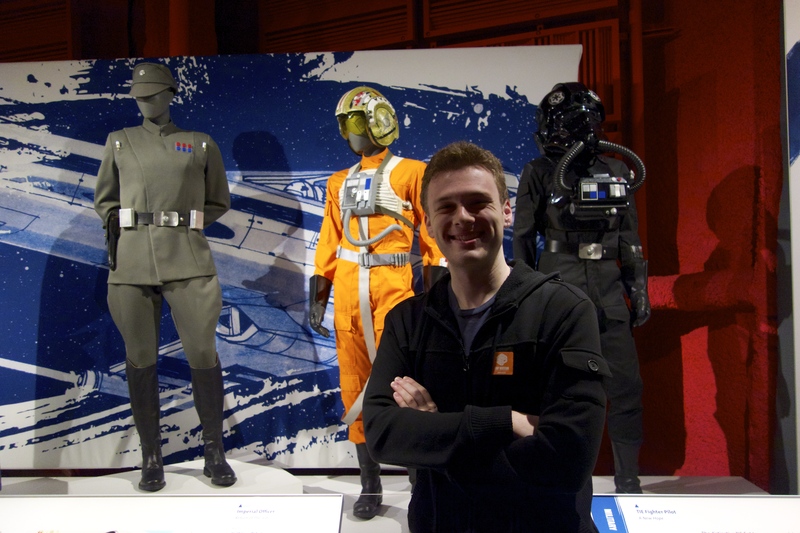 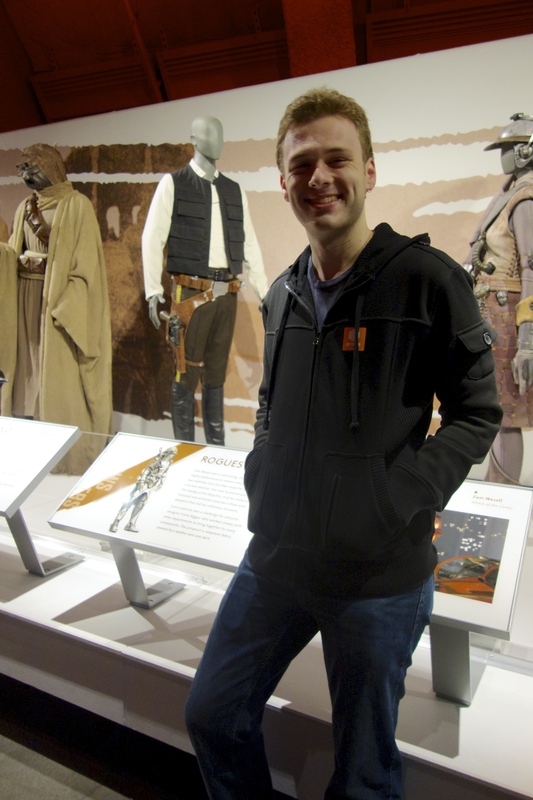 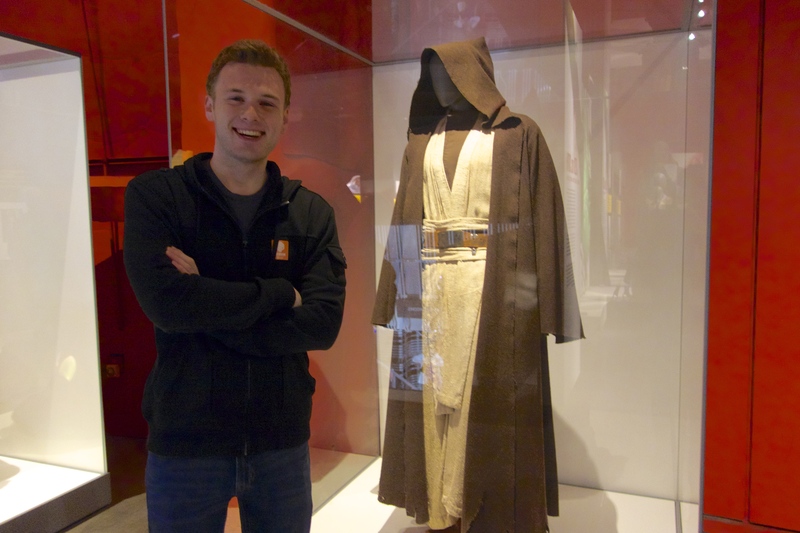 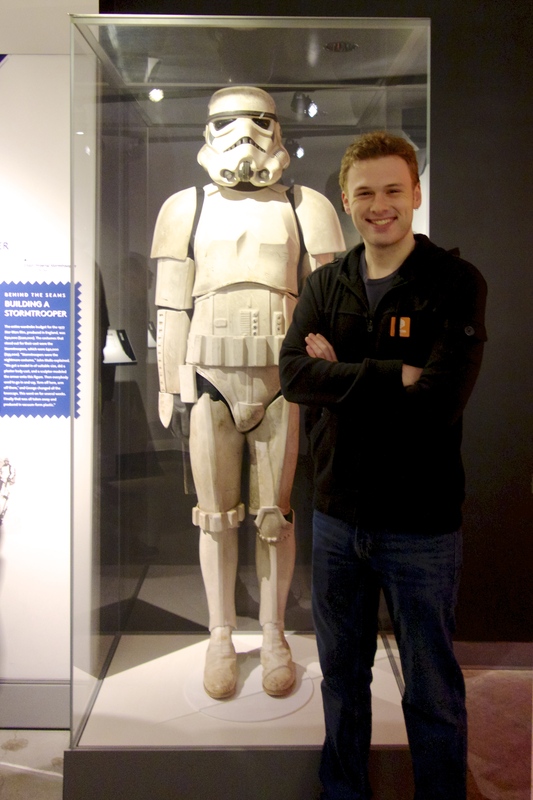 So when I heard that there was an exhibit filled with original Star Wars costumes at the EMP (Experience Music Project) Museum at the Seattle Center, making time to get over there was a no-brainer. 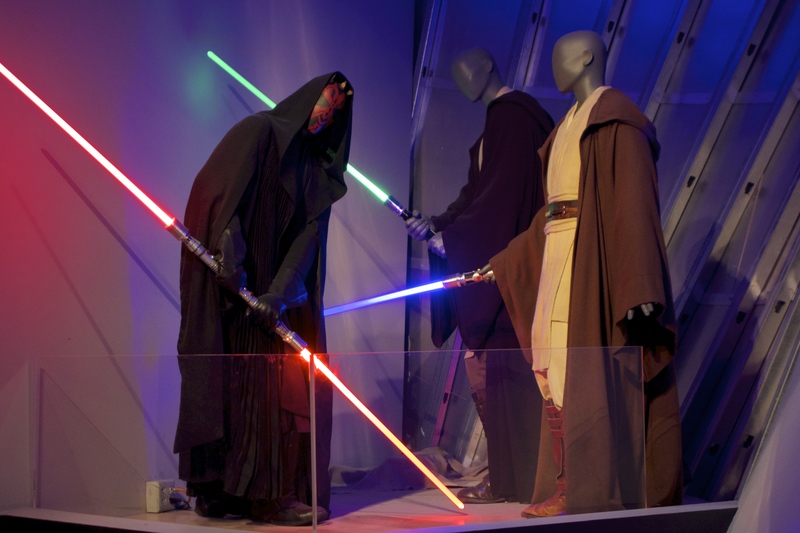 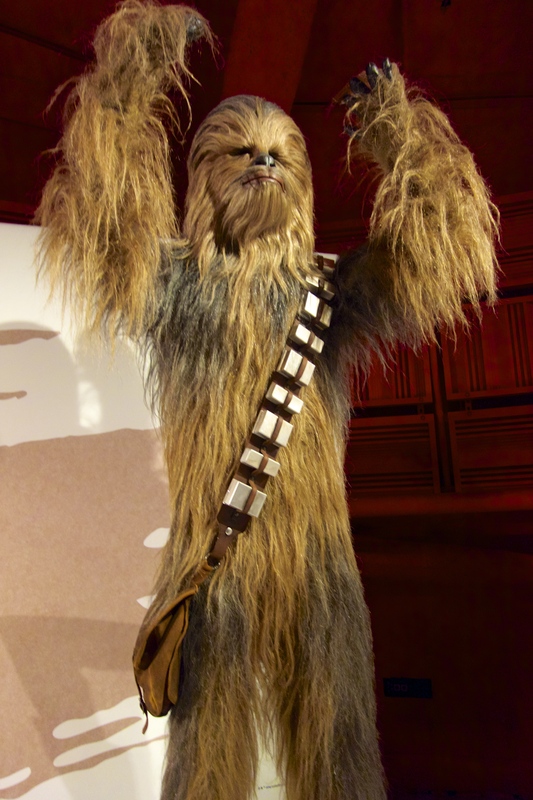 Rebel, Jedi, Princess, Queen: Star Wars and The Power of Costume was developed by the Smithsonian Institution Traveling Exhibition Service in partnership with the Lucas Museum of Narrative Art and in consultation with Lucasfilm Ltd. 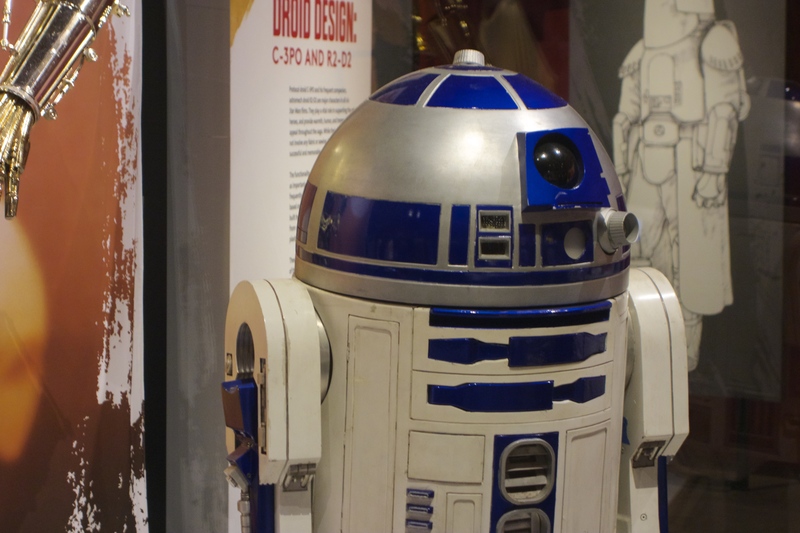 The museum — a Frank O. Gehry-designed stainless steel and painted-aluminum masterpiece, situated at the foot of the world-renowned Space Needle and wrapped around Seattle’s historic Monorail — dedicated two levels to this amazing exhibit. 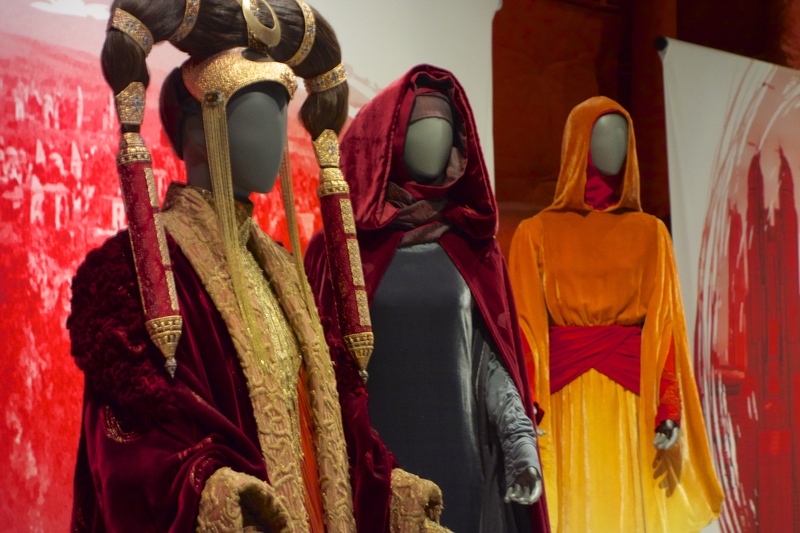 As impressive as the costumes from the prequel trilogy are, I was happy to see how many original trilogy relics they had on display. 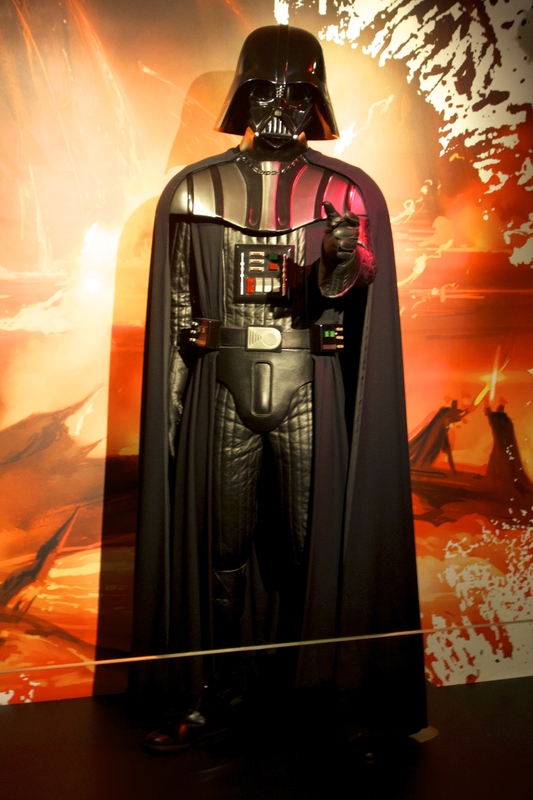 It was incredible to see, up close and personal, the original Darth Vader suit David Prowse wore on set in the late 70s and 80s. 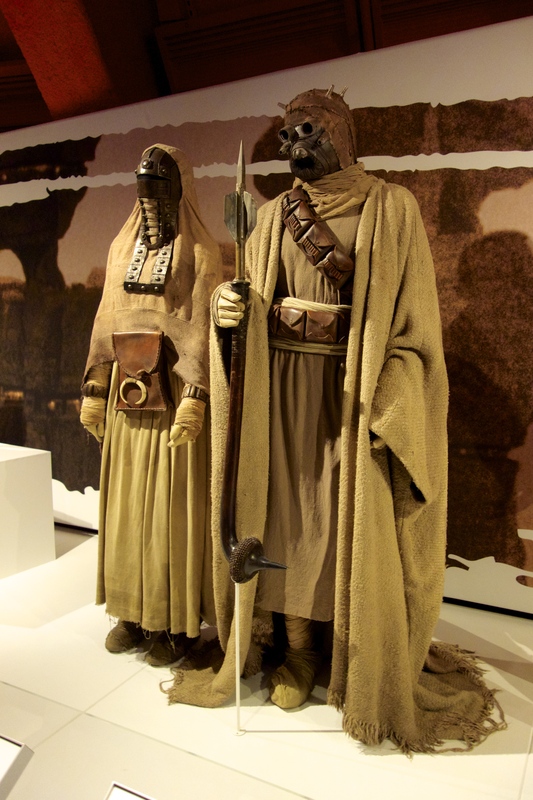 On the upper level, leading up to the Darth Vader costume, there was a lineup of original trilogy costumes like, Rebel and Imperial pilots, Tusken Raiders, Chewbacca, Han Solo, and of course Leia’s iconic slave bikini along with her Boushh disguise. 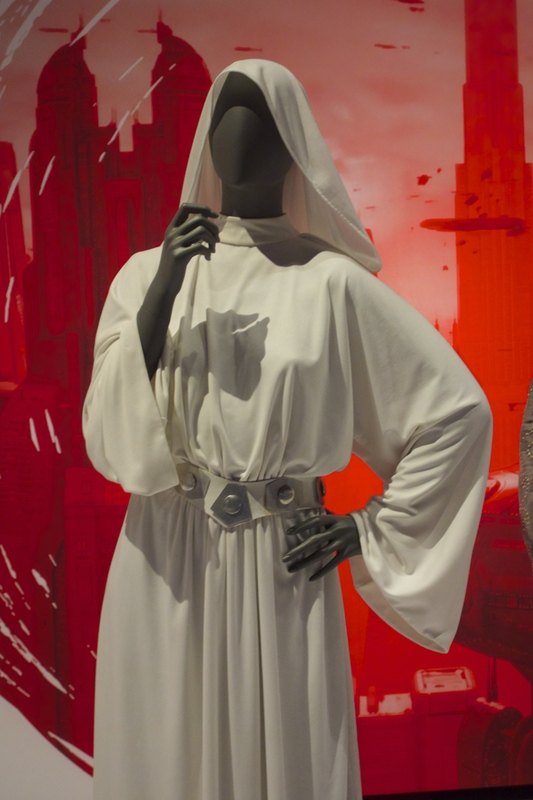 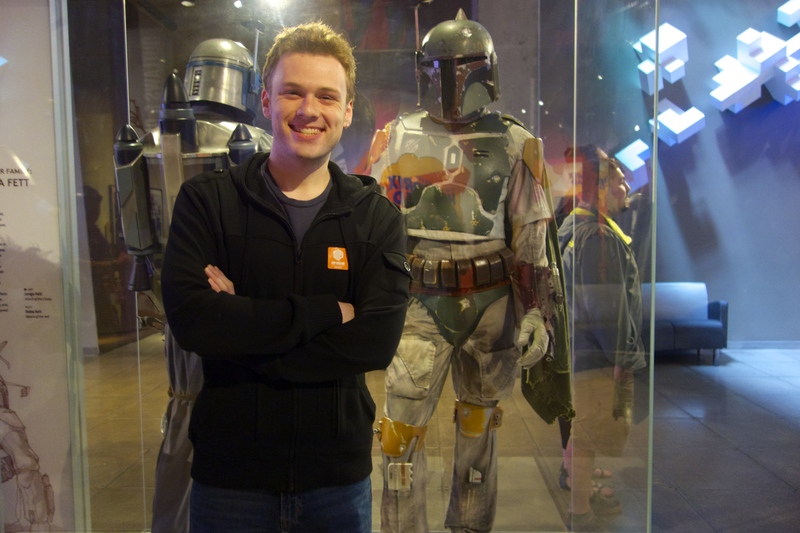 On the lower level, they had more original trilogy stuff like C3PO and R2-D2, Leia’s Episode IV gown, and Luke’s iconic black costume from Episode VI, my personal favorite costume of his. 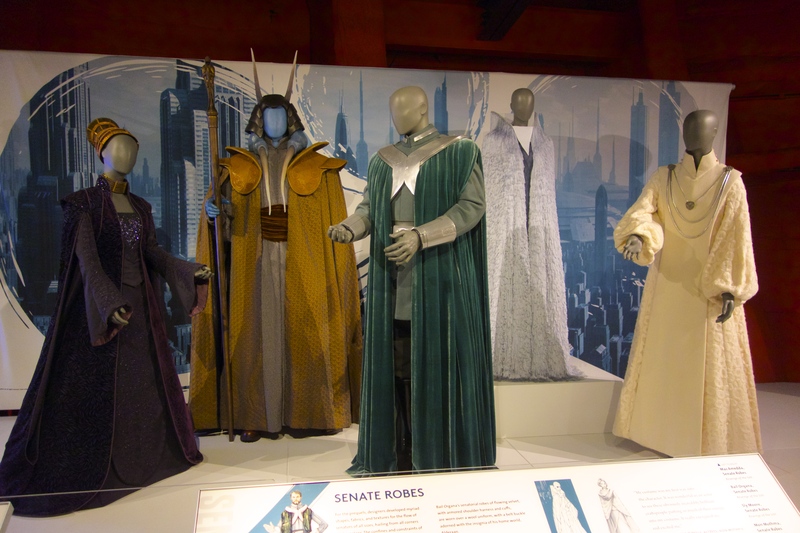 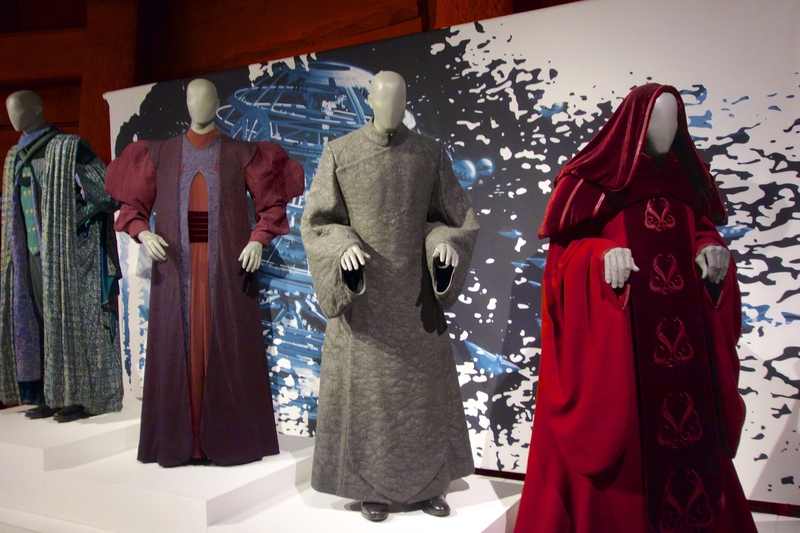 There were also many prequel trilogy costumes on display such as Padme’s regal gowns, some Old Republic Jedi robes, and a really cool display showing the devolution of Palpatine from Senator to Evil Emperor. 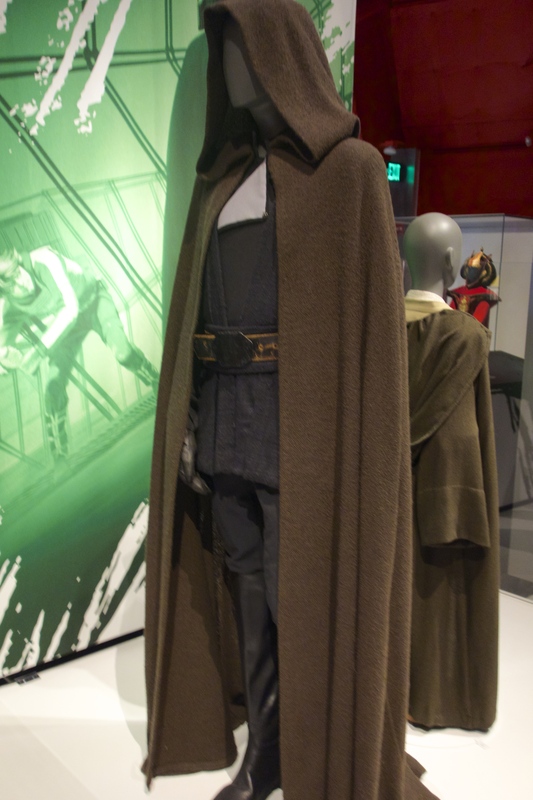 A cool fact about the exhibit is the secret elevator code needed to take you from one level to the other … 1138. 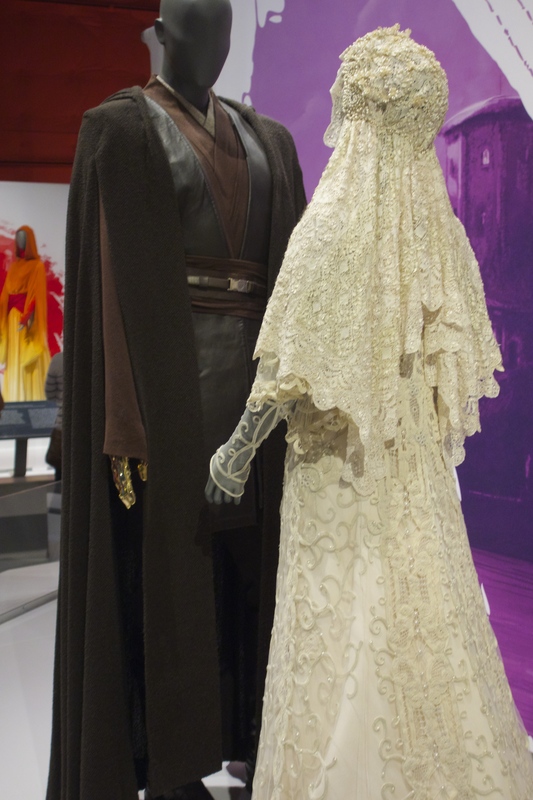 Oops, not a secret anymore. 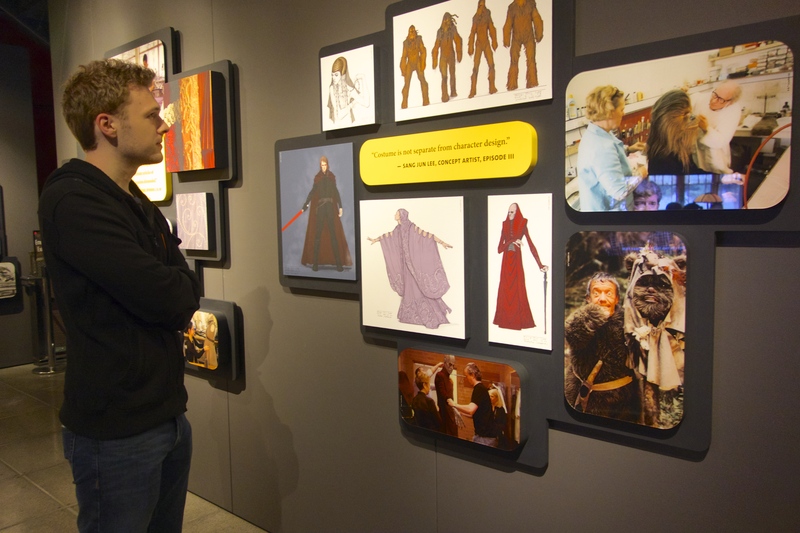 Nerd heaven. 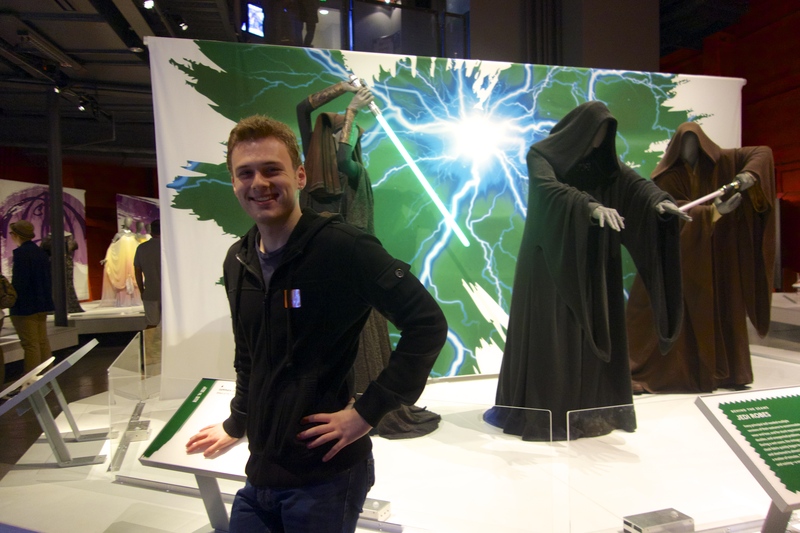 Last night I also attended Star Wars™: The Party Strikes Back to celebrate the last week of the exhibit. 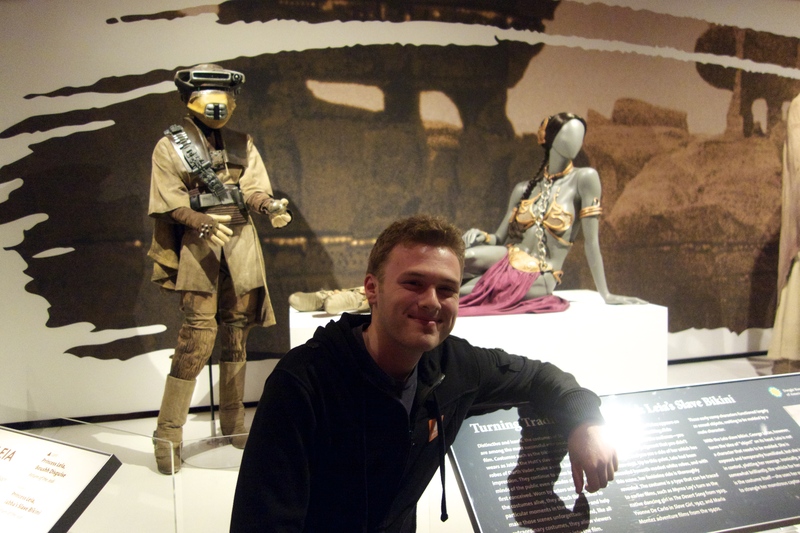 There was music, costume contests, and trivia games, and I made some new friends. 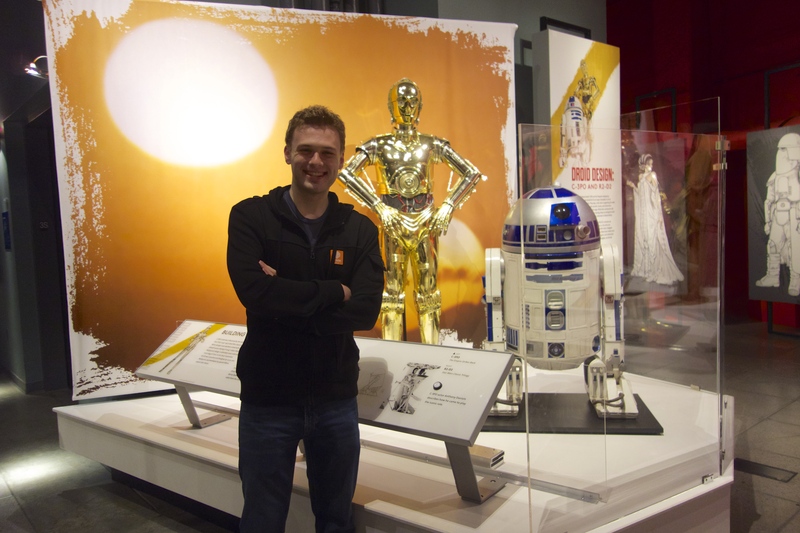 We’re all looking forward to December and the release of Star Wars: Episode VII – The Force Awakens!